As fitness facilities strive both to attract non-exercisers and to boost revenues from exercise enthusiasts, an evolution in fitness facility design is assisting their efforts. The ongoing rise of low-priced clubs has brought increasing competition to that segment, in turn boosting the importance of good design across all fitness facilities. "What's happening in that part of the industry is that the more beautiful $10 club wins," said Bruce Carter, president of the fitness facility design and consulting firm Optimal Design Systems International. As other clubs react to this competition, they are also trying to appeal to the growing deconditioned population by offering them more at higher dues levels. These clubs are taking increasing inspiration from the hospitality industry to create spaces that are increasingly beautiful and inspiring, but not intimidating. "The vast majority of Americans don't exercise and they hate exercise. So we're trying to sell a product that people really don't like," Carter said. "There's still the one out of five people who love exercise—but they'll still be enamored by a more favorable, beautiful environment, too." As a result, clubs are focusing on elevating the customers experience from the moment they enter the club. This can include small touches like the front desk. "We sort of have an unofficial attitude that anything people touch and feel should be the highest level that you can afford," said Rudy Fabiano, design director at Fabiano Designs. It also can include big statements. One example is the 35-foot glass wall that can change colors and display core beliefs and graphics, which Fabiano's firm recently installed in the newly renovated Gainesville Health & Fitness Center in Gainesville, Fla.
"Whereas at one point you'd have a small waterfall in front to set the tone, now it is really set by the ability to change your lighting and really highlight some of the interesting products or materials that you may have," Fabiano said. This impact is becoming more affordable due to advances in LED lighting. "The LEDs out there are much more energy-efficient and longer-life, so it makes sense to change those things out right now, whether you're doing a new facility or a renovation," said Doni Visani, an architect and senior principal for Ohlson Lavoie Collaborative. Visani is also seeing the increasing use of high-end projectors by designers to effectively create interior finishes with light. Color-changing LED lighting systems that can be programmed from a tablet are particularly adept at enhancing the ambience in group exercise rooms. Christa Plaza, owner of Essenza Architecture, installed such a system for the Bob L. Burger Recreation Center in Lafayette, Colo. In addition to making spaces more fun, these lighting systems can also facilitate greater program versatility in a single space. "For yoga, they can put on the soft pinky lights and for high-intensity classes they can put on the white and red lights—you can really change the feel of the room with lighting alone," Plaza said. The interplay of natural and artificial light throughout fitness facilities is becoming more sophisticated, driven in part by regulations such as California's Title 24 Efficiency Standards, which mandate adaptive lighting that automatically dims or shuts off when it's not needed. By using more flattering, dimmer lighting and fewer mirrors, club designs can make patrons who don't feel happy with the way they look feel less self-conscious or discouraged. Likewise, they're less intimidated if they're not confronted by a sea of equipment when they walk in the door. "If an out-of-shape woman walks in and sees a treadmill right there, she says, 'I'd be so embarrassed to be on that treadmill. This club's not for me,'" Carter said. For these skittish potential patrons, a welcoming environment is critical. Certain soothing touches might even help their workout go better. "Research is now showing that people feel less pain when they're exercising in nature," Carter said. "So we're bringing nature into our environments. It might be in the form of a beautiful nature graphic or materials like woods and stones. Because people feel less pain and more comforted, and therefore the exercise doesn't have to sting." 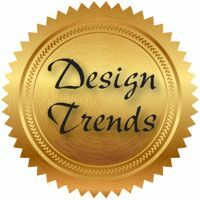 In general, designers are open to breaking with tradition as the influence of the hospitality industry and new technologies make new approaches to reach a wider demographic both attractive and feasible. "Everything is being reinvented—locker rooms, steam rooms, showers—there's enough new products, new cutting-edge ideas that every client we are talking to needs to be aware of," Visani said. Among the innovations that Fabiano is seeing are things like larger 4-by-8-foot tiles that reduce grout-related maintenance, and high-density foam walls in showers that don't permit mold growth and are impenetrable to water. As concerns about sustainability grow, gym designers are also looking at the health implications of the materials they use. "We're LEED-certified, so we're always looking for products that don't have off-gassing, especially in a fitness facility," Plaza said. "You want it to be a really clean environment with healthy air quality." Fabiano is also seeing that air quality is being enhanced in facilities with aquatics through new technologies such as those that can exhaust harmful chloramines at the gutter level of the pool to enhance air quality throughout the facility. Designers are additionally incorporating more reused, recycled and repurposed materials as more appealing products with these qualities become available. They're even getting creative in using local materials as part of this effort. "Incorporating items that have some significance to the local market is appreciated and makes your facility more unique—whether it's local beetle-kill wood in the West or some local firehouse brick that was torn down," Visani said. As boutique clubs that offer more social opportunities and specialty programming continue their upswing, larger big-box clubs are trying to compete with them, as well. They're still providing plenty of traditional weights and cardio, along with multiple specialty programs and spaces devoted to them to vie with boutique offerings. "It's not rare in a typical club to have three or four studios, whereas at one time one large studio would be enough," Fabiano said. These efforts often include a greater emphasis on individual branding for the different program spaces. For instance, Plaza just worked on a series of mind-body clubs in New York and New Jersey featuring yoga rooms with yoga walls. Spinning rooms with theater environments as well as Pilates, hot yoga and barre classes are receiving similar attention. "The big box clubs are trying to figure out how to create a boutique club within the big-box club, and that's always a challenge," Plaza said. "How do you get a SoulCycle feel in a big-box club?" Getting that feel can help clubs convince members that such an offering is a special experience worthy of an additional fee. "I call it the retailing of fitness," Fabiano said. "We like to think of those elements as their own boutique element that should be presented as a specialty item as you would in a department store. So when you're using the club, when you tour the club, there is so much more than is being presented to you as an offering." This drive to provide more specialty offerings is, in turn, driving up club size in these facilities. Fabiano is seeing fewer middle-sized, 20,000-square-foot facilities. Instead, there's a bifurcation between the boutiques at less than 15,000 square feet and the larger facilities averaging closer to 40,000 square feet. Carter is likewise seeing most of his work on club renovations is in facilities 50,000 square feet or larger. The lowest-priced clubs still focus on generating as much dues revenue as possible. A 2014 NPR Planet Money podcast segment estimated that the average Planet Fitness has 6,500 members but can only hold about 300 people at a time. But other clubs are increasingly reliant on specialty programming's role in generating non-dues revenue from avid gym-goers. "The non-dues revenue historically ran from 10 to 15 percent, but now they're trying to get their non-dues-based revenue up in the area of 35 to 50 percent," Carter said. "And it tends to be that people who do the non-dues programming tend to keep their membership longer because they're more involved in the club. They're getting better results. And there's more socialization involved than the member who just comes into the club, never talks to anybody, and leaves." This socialization is part of the reason boutique clubs are doing so well, and part of the reason that small-group personal training is becoming more popular. According to Plaza, small-group training provides a sense of community and competitiveness, while also being affordable to more people than one-on-one training. Club designs are continuing to include more areas to capitalize on this ongoing trend, sometimes as a dedicated space but sometimes within a larger room. "A lot of times they're putting it out in the middle of the floor and having a TRX class and it kind of intrigues and excites other people," Plaza said. "It's sometimes a little disruptive to other club members, but it sometimes becomes a positive thing for the club." The potential revenue from small group and personal training is also helping drive the growing trend toward more open floor space and functional training areas. "People are more likely to pay a trainer to show them some core body or functional training movements than to count reps for them while they sit on a machine," Carter said. For this reason, and due to the popularity of CrossFit, boot camps and other similar offerings, in some cases clubs are starting to pull some machines out to make room for more functional training space—with an emphasis on space. "There's always a fair amount of open space," Plaza said. "I'd say 80 percent open space to 20 percent equipment." Vertical space in the form of sufficient ceiling height is also important to accommodate functional training stations that people can hang off of and do pull-ups on. The trend toward heavier, higher-intensity training is driving a greater move toward versatile free weight racks. "People are lifting heavier weights than they used to," Plaza said. "They're using platforms so they can drop weights and it's not just the big meathead guys—it's ladies and seniors, too." As clubs add more areas with fee potential, like these functional training areas, they're also looking at renovations that remove space-consuming offerings that can't serve many patrons, like tennis and racquetball courts. "You don't see many new indoor tennis courts being built," Carter said. "It's just too much real estate for four people using it, and how much can you charge? If you replace it with a spa, yoga and all this other stuff, you probably end up making 10 or 20 times the revenue per square foot." To accompany increasingly specialized programming that appeals to different demographics and personality types, clubs also are trying to create community by creating more social areas throughout their facilities. "They're definitely creating social areas and often in different pockets of spaces," Plaza said. "It's not all one big cafeteria-type space. They're almost Starbucks-like. They're smaller, more intimate—a better setting for smaller groups to get to know each other." Visani is also seeing some clubs get Starbucks-like in a more literal way through the inclusion of restaurant, bar and coffee-shop amenities as another way to generate revenue and extend the image of the club as a place for social bonding. In rec centers and university facilities, Fabiano is also seeing social and revenue opportunities being created through the inclusion of meeting and event rooms that can be used for catered events. And, as clubs expand beyond their traditional parameters, they're also offering more in the way of general health and wellness advice that extends outside the club using fitness trackers and other tools. "It's really looking at the individual to say, you're a person who needs this for your health. We're going to provide you some tools, we're going to give you motivation, we're going to give you feedback," Visani said. "You can work out some parts at home, you can work out at the office, you're walking, and you can take that all into account in your whole health analysis of yourself." By doing these things, clubs can move beyond being the places that many people pay dues for but can never quite get to with any regularity. They can position themselves both for greater revenue potential and to become more successful partners in transforming people's lives.